Patios, Walkways & Driveways | Weiler's Lawn and Landscape, Inc.
Ready to enjoy fun summer days on a gorgeous patio? Well call Weiler’s Lawn & Landscape. Since 1981, Weiler’s has provided homeowners in Falls Church, Arlington and surrounding areas of Northern Virginia with high-quality patios. Experienced with a variety of materials, our builders can produce all types of patios, from brick to flagstone. We aim to provide you with a well-built and attractive patio that will withstand the elements and last for many years. To have one of our consultants make a visit to your home and offer you a personalized estimate on patio construction, give us a call today at 703-241-2611. 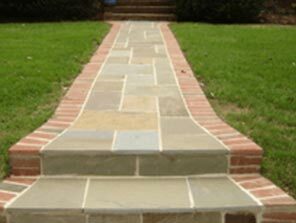 Made from natural Pennsylvania Flagstone and waterproof cement or concrete, with edging made from timber or brick. A solid place for parties and events. 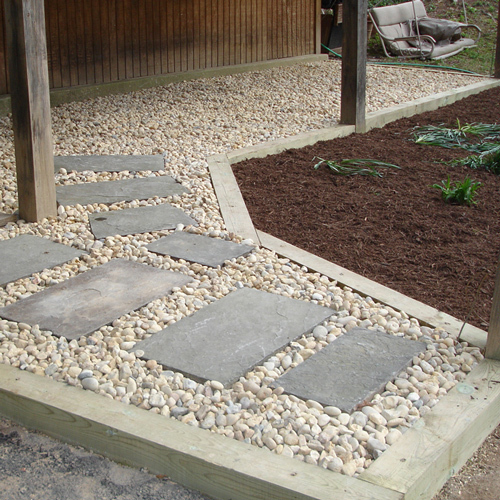 Dry-laid Pennsylvania Flagstone set on a crushed-stone foundation or set with river jack gravel. This type directs surface water away from the home’s foundation. 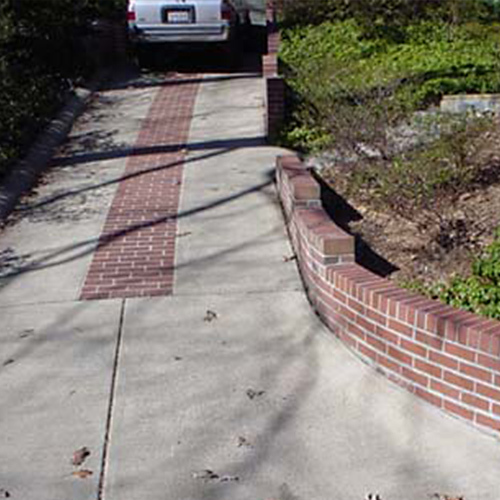 Consists of brick pavers cemented to a concrete base. 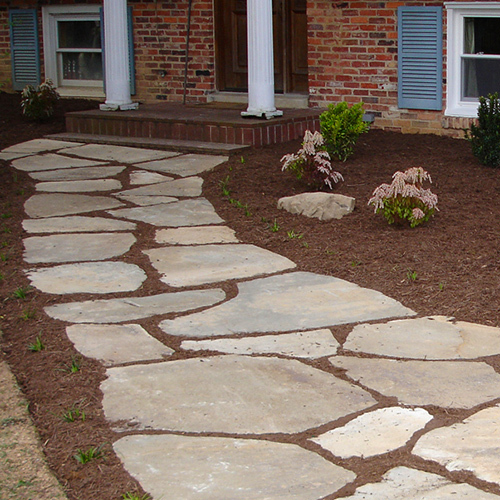 Accentuate the beauty of your home with walkway construction services from Weiler’s Lawn & Landscape. 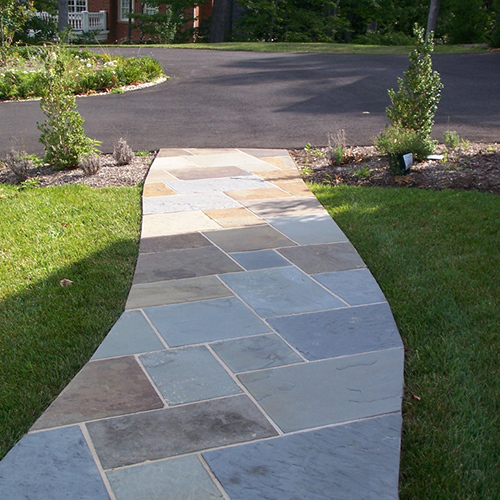 The walkways we create will make navigating your property simple and visually appealing. 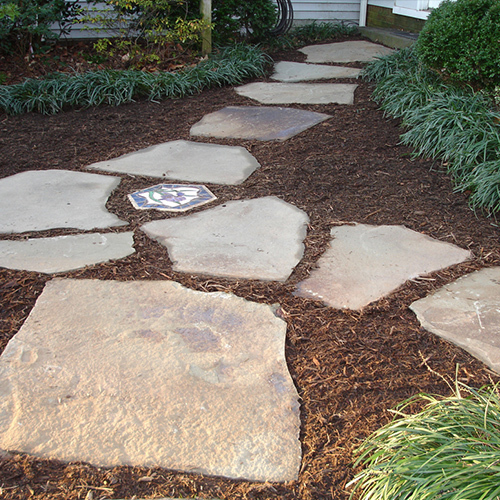 Flagstone steppers can be set on mulch or a variety of gravel. Aesthetically pleasing and long-lasting. An easy-to-replace style that is great for laying around tree roots and other moist areas. 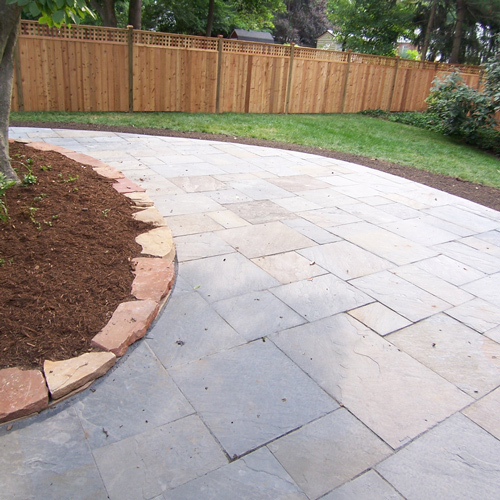 Sets Pennsylvania Flagstone in a cement base and features a border of beautiful brick. 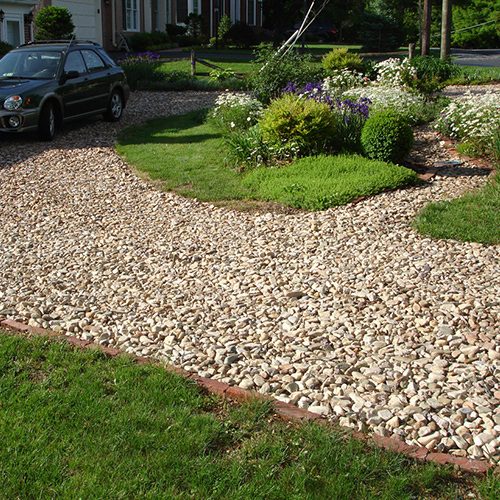 An attractive yet less expensive style of driveway. I wanted to let you know how very pleased I am with the work your crew did on my backyard. It was in real bad shape because of all the flooding. I know that I will be able to enjoy my backyard again.